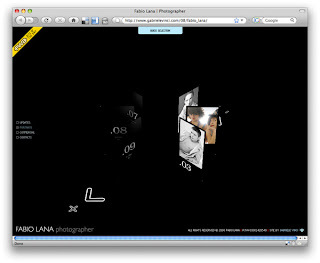 Sailing our barges across the Mediterranean to Italy, we find Fabio Lana's site. This is actually the work of Gabriel Vinci. 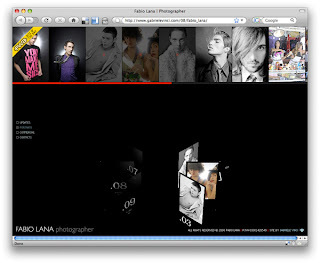 I feel i need to state that, since this is no longer Fabio Lana's official site. It's an interesting take on the slide carousel. Clicking the arrow turns the carousel of course. A nice touch is the connection between a "quick view" mouse-over menu at top, and the carousel below. While it's just a linear version of the same menu, the images visible below are darkened above.